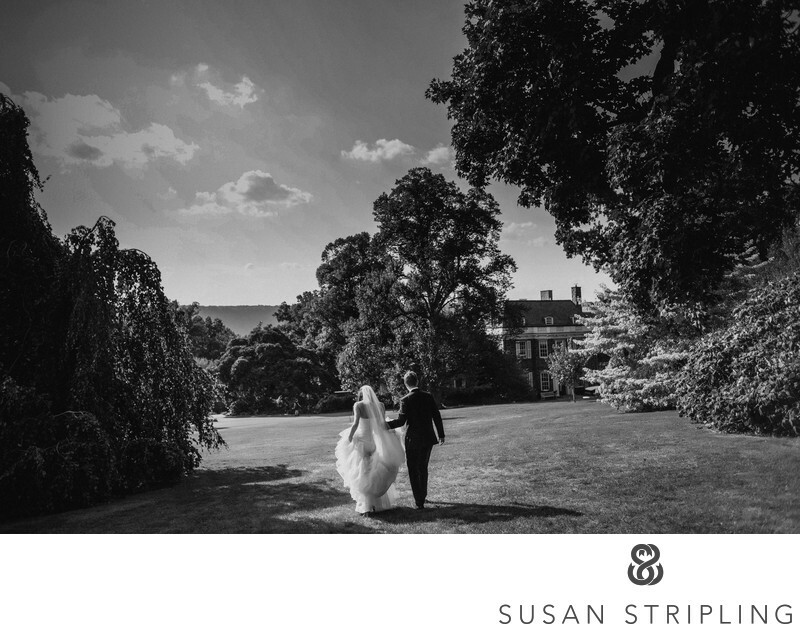 Wave Hill is a spectacular wedding venue in the Bronx, and should be on any discerning wedding couple’s “must see” list of potential wedding venues! 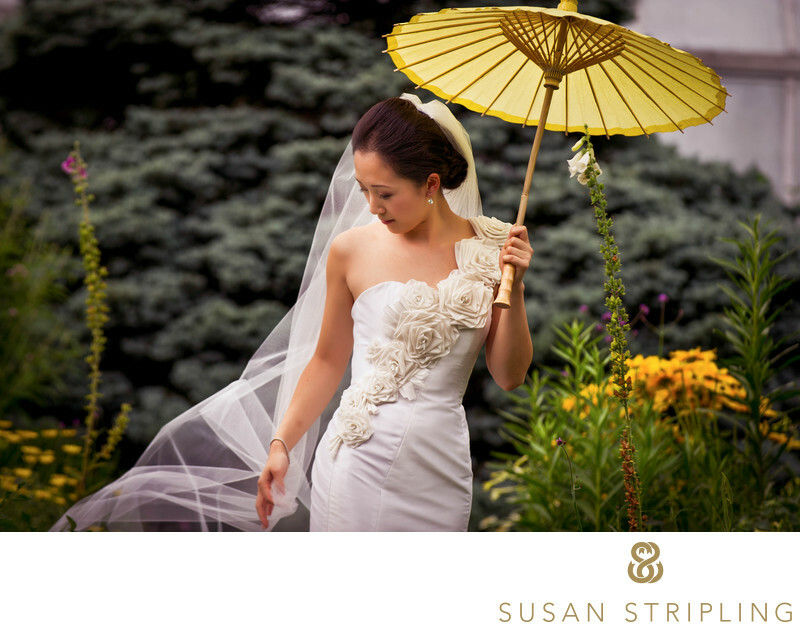 A bridal portrait in one of the many gorgeous gardens at Wave Hill. 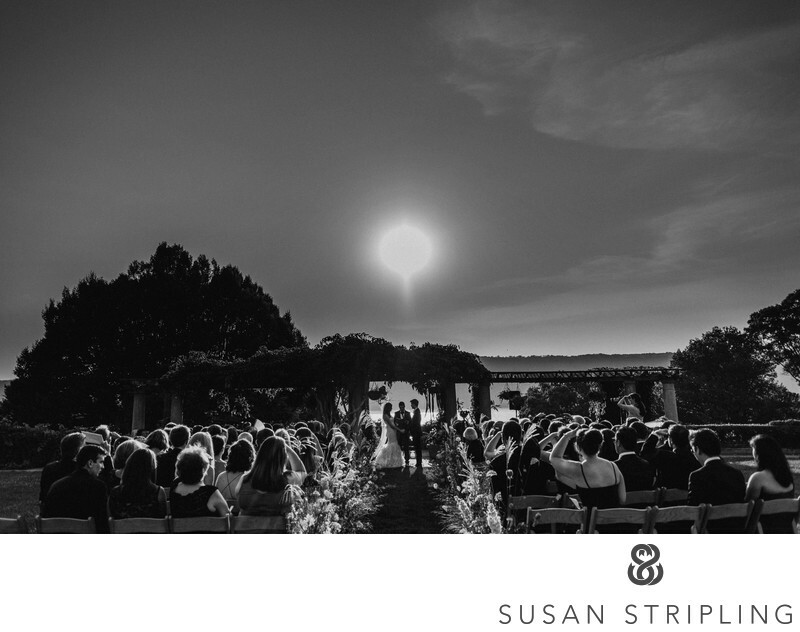 Featuring twenty-eight acres of incredible public gardens, Wave Hill can also be rented for wedding ceremonies, cocktail hours, and receptions. As an added bonus, if you get married there, you can take your wedding day portraits on the gorgeous grounds. A sweet midday reception in the warmest of locations. 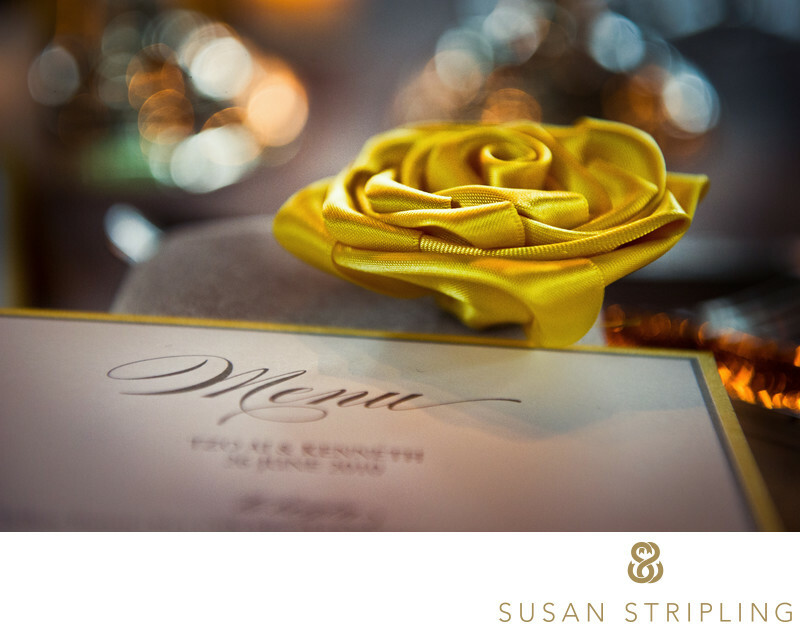 I have always been impressed by the meticulous attention to detail at this elegant, peaceful New York venue. Everything from the grounds to the reception decor is always beautifully on point and a joy to photograph. Sunset ceremonies overlooking the water are always dramatic and romantic. As a Wave Hill wedding photographer, I have seen so many beautiful celebrations. I have seen brides get ready in the spacious, light-drenched on-site preparation rooms. I have seen couples see each other for the first time on their wedding day in the shade of a towering tree, its’ branches reaching low to the ground to encircle the newlyweds. 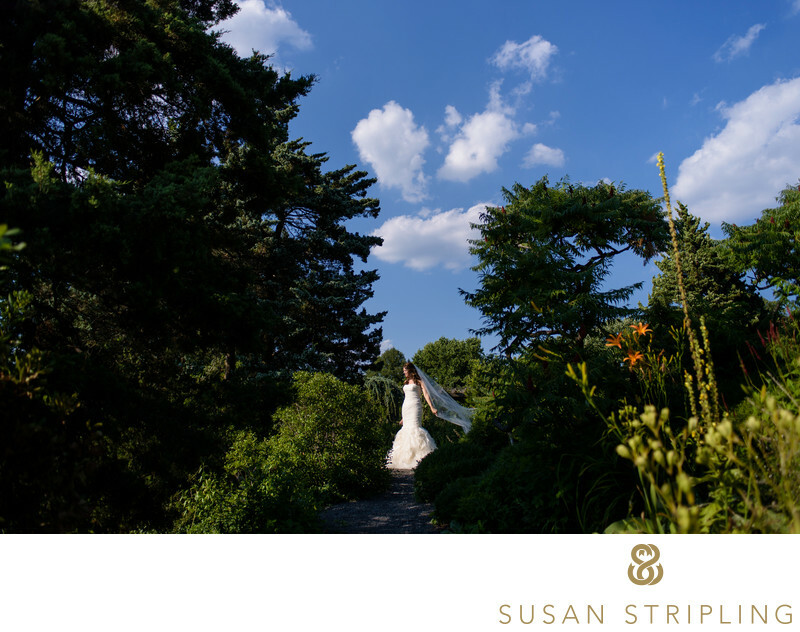 A Wave Hill bridal portrait on a crisp summer day. I have seen wedding receptions out on a beautiful terrace, shaded by the crisp brightness of a white wedding tent. I have seen candlelit wedding receptions indoors, lit by only the open flame and some delicate up-lighting. This particular wedding was lit almost entirely by open flame, and I love how warm that made the light in the room. At this particular wedding, candles were simply everywhere. 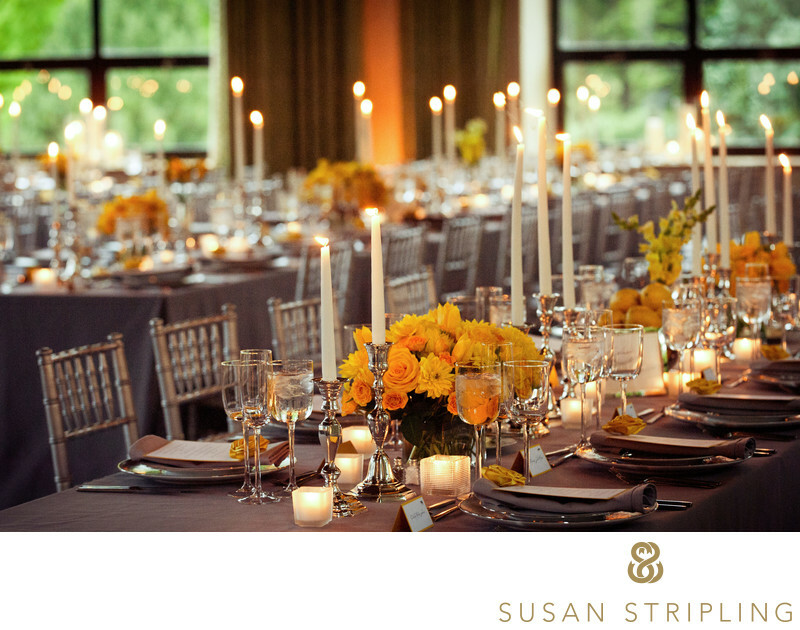 They blanketed the tables, casting the entire reception with their amber glow. This picture was taken at the moment two guests clinked their champagne glasses after a particularly moving toast. I'd love to hear from you if you're getting married at this spectacular place! 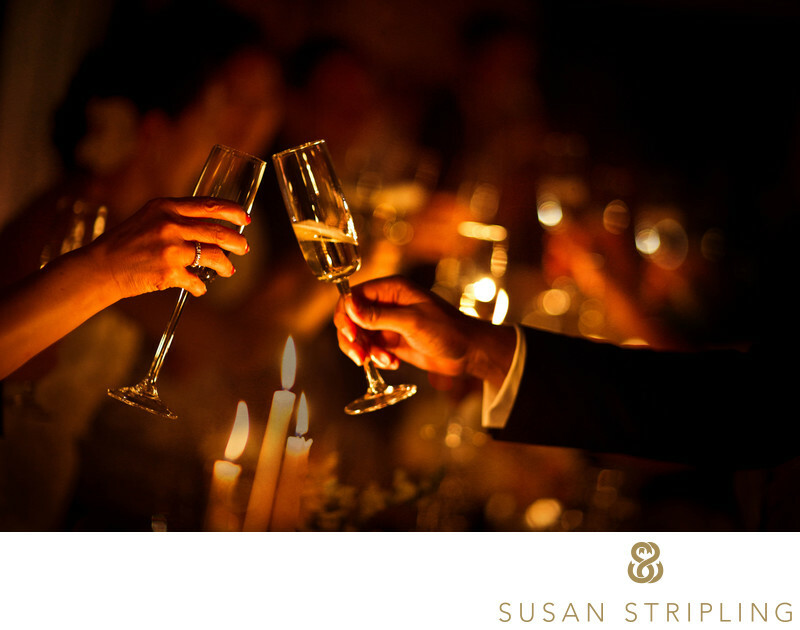 If you are planning your wedding celebration at Wave Hill, I’d love to hear about how you want your day to unfold. 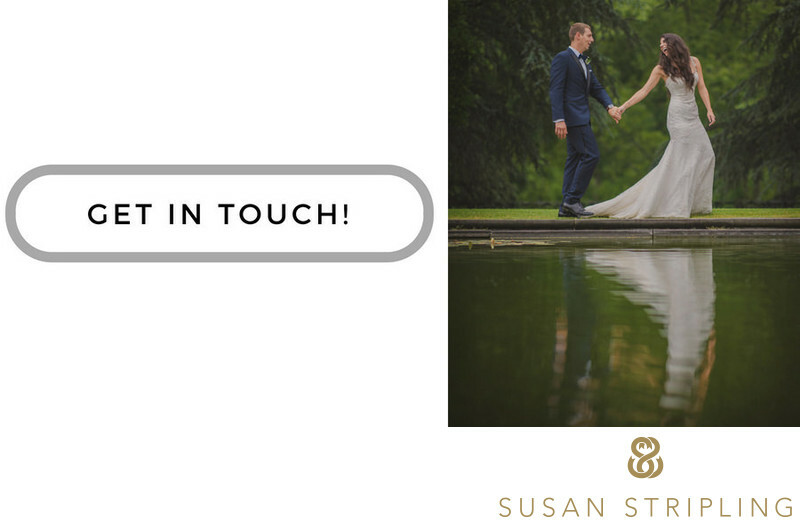 I’d love to talk to you about the amazing locations to take your portraits on the grounds of Wave Hill, and to hear about your wedding photography needs. I hope to talk to you and work with you on your wedding! Location: W 249th St, Bronx, NY 10471. Keywords: New York City (207), wave hill (30). 1/200; f/1.6; ISO 4000; 85.0 mm.